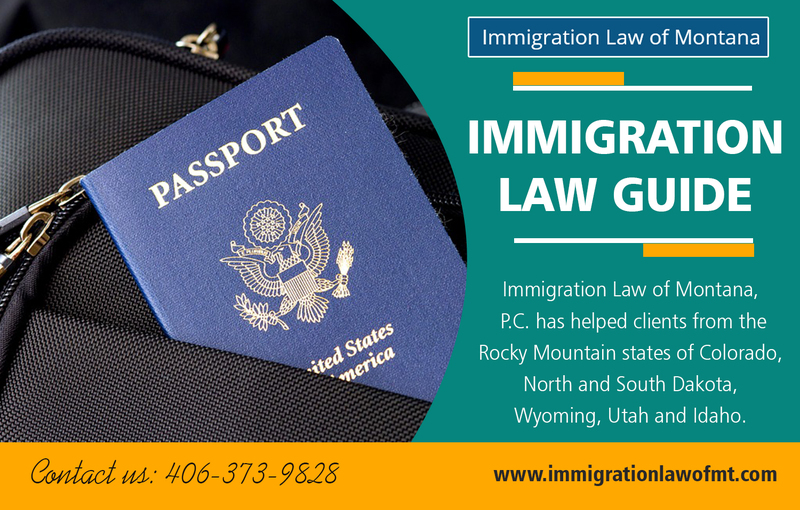 As part of our help to employers in Montana, North Dakota, or Wyoming, we offer this immigration guide for employers, one of our immigration guide series. We thought it would be helpful for employers to have one place where they could go and read about the immigration aspect of being an employer, corporate immigration. Consequently, if you know that you need help, please use our contact us form. In thinking about how Immigration Resource Guide affects an employer, we see two general categories: 1. Getting visas for employees who are not US citizens. 2. Meeting the requirements that the federal government places on employers, or in other words immigration compliance. Therefore, we cover both these broad categories in our immigration guide for employers. We also provide links to additional resources that we offer to help employers. When sponsoring Different Types Of Us Visa for a potential employee, the first question to resolve is how long the employer needs the employee. Do you need the employee’s services temporarily or permanently? This distinction is important in that the federal government processes to address and employer’s needs are different. The government requires much less for a temporary position. From the federal government’s perspective, temporary can be further divided. How long the employer needs the employee? For example, many employers in Montana, North Dakota, and Wyoming need temporary employees for some part of the year.Similarly, nonagricultural employers like hotels can annually petition for and sponsor temporary employees under the H-2B program to get employees like housekeepers. If an employer needs an employee’s services all year long, the federal government provides a variety of visas that an employer can utilize. The key to an employer picking the correct visa is understanding the employee’s skills and the nature of the job offered.TN visas, trade NAFTA, are available for a limited set of professions, mostly scientific and technical degrees like geology. For example, if an employer is offering professional employment, work that requires a bachelors degree or above like working as an accountant, the federal government provides the H-1B visa. Special provisions apply to prospective professional Canadian employees. Many employers have permanent needs for nonprofessional employees. Employers continually ask us about diesel mechanics, truck drivers, construction workers or other skilled or semiskilled trades.Agricultural employers can utilize the H-2A program to get employees annually who work for less than a year. Unfortunately, as a matter of policy, the federal government does not provide any visas for this classification. Lobbying groups like unions have convinced the federal government that America has plenty of semiskilled or skilled workers. Sometimes employers who used these temporary visa programs find an employee with excellent work habits. The employer is interested in full-time permanent employment for the employee. All full-time permanent employment requires an employment based green card. The end result of the full-time employment process is a green card or lawful permanent residency. With a green card the employee has the right to live and work in the United States permanently. Employers wishing to sponsor employees for immigrant visas began at three-step process, filing for a labor certification through the PERM process, filing for an immigrant visa for the employee, and sponsoring the employee through the adjustment of status process or consular processing. We cover the process as our guide to green cards in this case, employment based green cards . 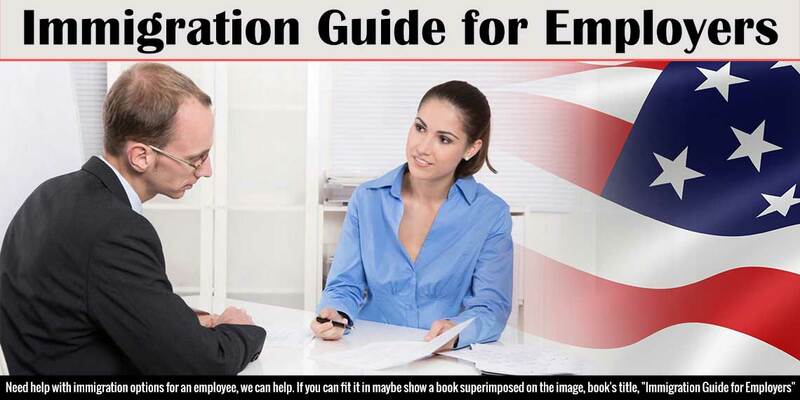 Besides our immigration guides for employers providing an overview of the options available to hire non-US citizens, our immigration guide for employers also covers compliance with the federal government’s requirements for US workers. The three main areas of concern for employers are I-9 issues, Social Security no match notifications, antidiscrimination issues. I-9 compliance can be divided into two categories. The employer and the employee must understand their respective duties in completing the I-9 form. We can help with training on the I-9 form, especially now that USCIS has issued a new updated form. Besides the initial guidance in completing the I-9 form, employers sometimes need help with I-9 audits, making sure all the past I-9s are in compliance with federal requirements. Sometimes this need for an I-9 audit is driven by federal government concerns. Perhaps Immigration and Customs Enforcement (ICE) has audited the business and is requesting copies of the employer’s I-9s. Alternatively, sometimes contractors or subcontractors have to show that their I-9s are in compliance in order to win a contract. Wal-Mart is an example of this policy. It requiries contractors to show that they are in compliance with I-9 requirements in order to bid on contracts. We can supply certification showing that the employer meets federal I-9 requirements. Employers sometimes receive Social Security no match letters. These letters indicate that the Social Security number provided by the employee does not match the name on file with the Social Security Administration (SSA). Alternatively, the SSA advises that the employee provided SSN is not a valid SSN. We can advise employers on how to deal with these letters from the SSA. Lastly, one of the more difficult issues for employers is determining whether or not an employee can accept employment without needing any help from the employer. This task is made more difficult by the federal government’s antidiscrimination office. Many employers might think the simplest question to ask the employee is whether or not he or she is a United States citizen. Unfortunately, the federal government regards asking this question as citizenship discrimination. We can help advise employers on the correct terminology to use with potential employees so that they are in compliance with federal antidiscrimination requirements and at the same time get the information they need. Our Guide To Immigration for employers provides a brief overview of the issues facing employers. We can help you with any of the issues listed in the guide. We guide and inform you so you can work through whether or not hiring an employee is possible or worth the cost and time. If you are an employer and he would like to discuss your requirements please contact us.